There are 7102 languages alive in the world today. 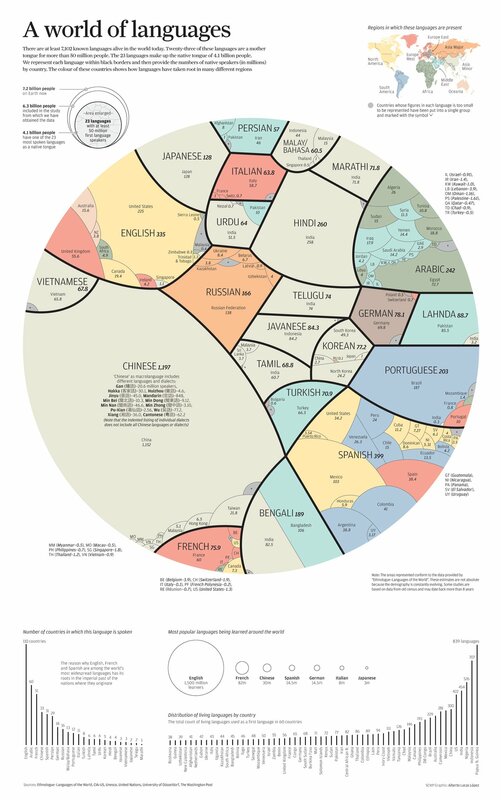 The 23 languages make up the native tongue of 4.1 billion people. In the above picture each language is represented within black borders. Also number of native speakers ( in millions) is mentioned.